The Industry Connection Bridge, one of the important projects of Denizli Metropolitan Municipality which will relax the city traffic, provided a total of 754 thousand litres of fuel savings in 10 months when it became the transition route of an average of 13 thousand vehicles a day. The bridge makes the connection between the 1st and 2nd Industry and the 3rd Industry and shortening the route with more than 1 km. The Industry Connection Bridge won the Denizli people. 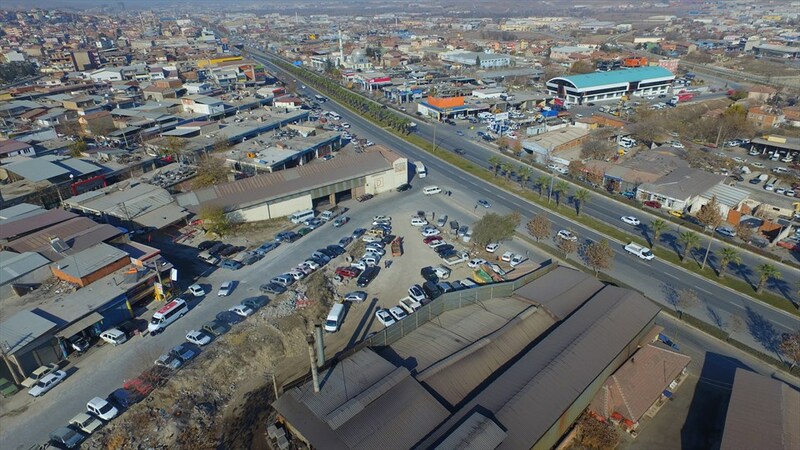 The Industry Connection Bridge, one of the most important projects realized by Denizli Metropolitan Municipality to end the transportation problem in the city, was put in service about ten months ago. The bridge used extensively from the first day of service, received the appreciation of the citizens, while the giant investment shortened the route between the 1st and 2nd Industry and the 3rd Industry region by more than 1 km. 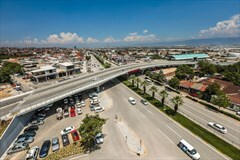 While the traffic density on the Denizli-Izmir Highway decreased with the Industrial Connection Bridge, the bridge used an average of 13 thousand vehicles per day. In the 10-month period since the opening of the Industrial Connection Bridge, the fuel achieved a saving of 754.000 litres and prevented the 135.500 kg of carbon emissions in the air. Thus, the Industry Connection Bridge also reduced air pollution in the city. With the investment that shortens the route between the 1st and 2nd Industry and the 3rd Industry regions by more than 1 km, decreased the waiting time and increased the traffic flow rate, and the workforce gain achieved 293,850 hours. With the Industrial Connection Bridge connecting the two sides of the city, significant contributions were made in terms of economic, environmental and time saving of citizens. Mayor of Denizli Metropolitan Municipality Osman Zolan said that the Industry Connection Bridge, which is one of the most important projects that the city has implemented in order to minimize its transportation problems, has been serving its purpose. Stating that the investment contributed positively to the environmental problems saving time and fuel, Mayor Osman Zolan said, ''Our target in Denizli, which grows and develops with each passing day, is to minimize the problems in the field of transportation. Our transportation projects continue to significantly reduce traffic. But we didn't finish, we have more dreams and goals about what to do in this city. We will achieve these together. I hope our tomorrow will be better than today.